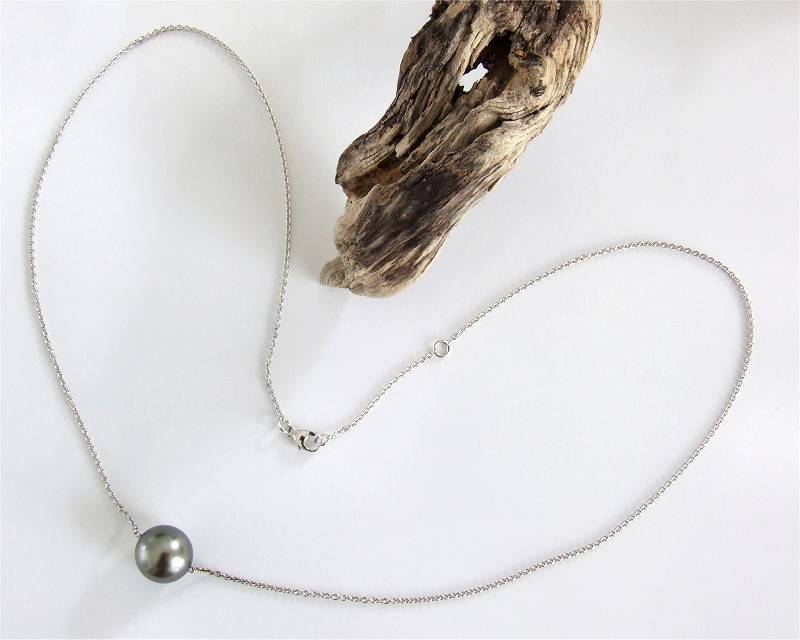 pearl pendant at SelecTraders: Find a special present here - Faro, our combination of a tahitian cultured pearl of gem-quality and a sleek 18k white gold chain in a length of 17 and 18 inches. The perfectly round tahitian pearl has a size of 10.0 - 11.0mm and an excellent luster, it shines in pink peacock green overtones. 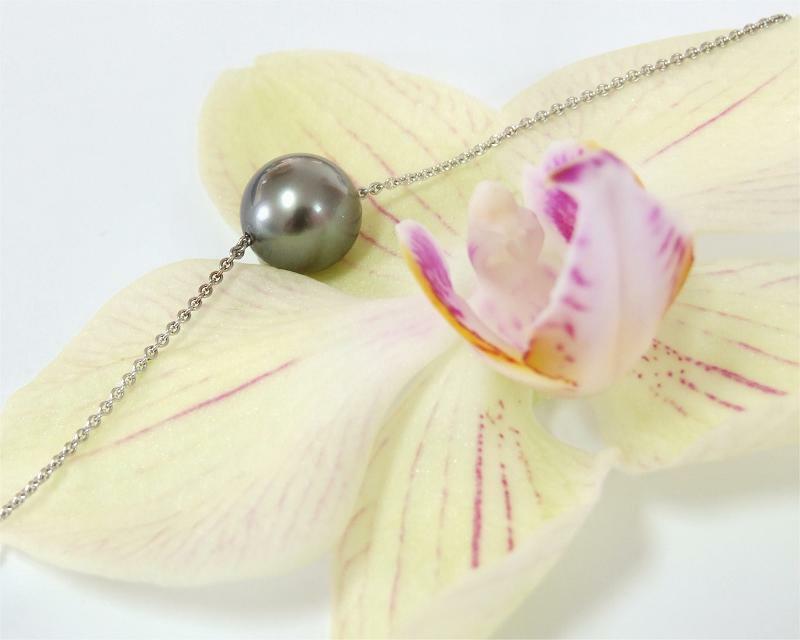 This necklace - pearl pendant combination is also available with a 18k yellow gold chain: Pearl Necklace Taro. Please see details below. - Availability: in Stock. 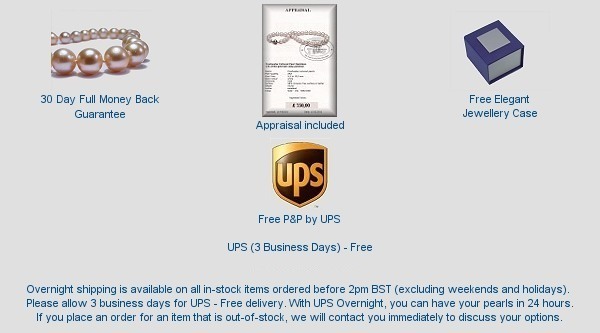 Usually ships within 1 business day.